Trailer is included (requires 2" ball). 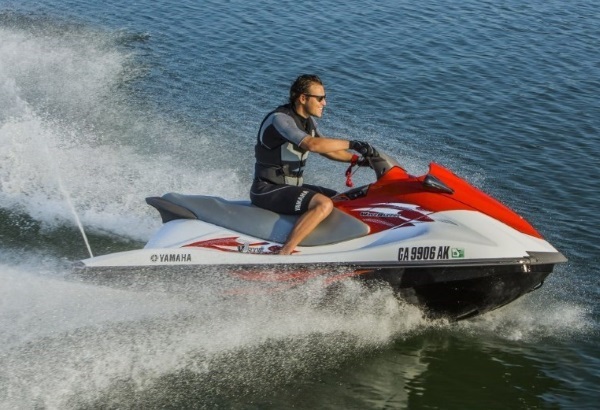 We have trailer's that accommodate up to 4 jet ski's. Trailers are included at no charge. Customers must tow watercraft to the lake. Federal law prohibits rental company's from towing craft to Lake Mead. However, we have vehicles available for you to take for the day. V8 SUV just $50/day. They can either tow a boat or up to 4 Wave Runners. NOTE: Depending on which state you live in, you might need a Boater Education Card. Various states have different laws and parameters. Check to see your state requirements here. If you need one go here.